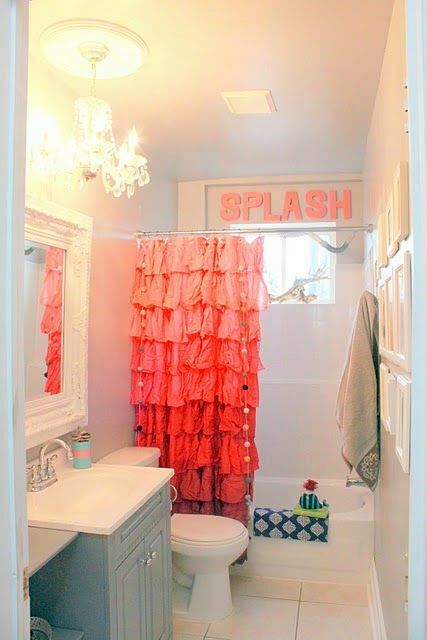 One thing that I love is a chandelier in the bathroom! 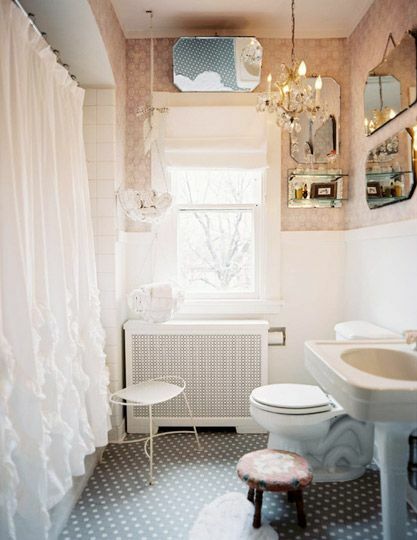 It just glamourizes the space! 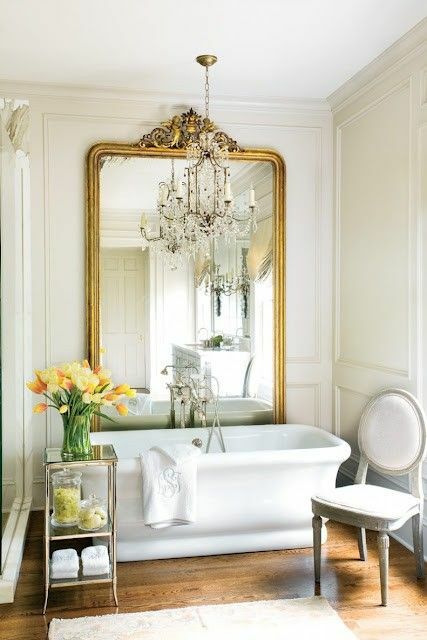 Especially, crystal chandeliers! The way the light reflects off the crystals is so romantic! 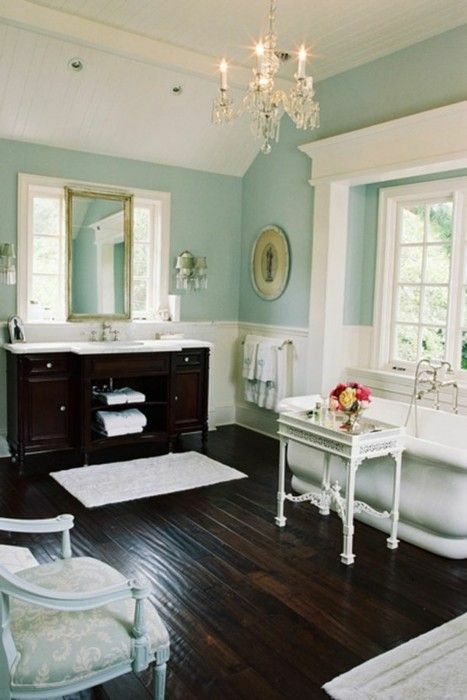 over the tub, they add a touch of elegance of the room! The above picture even has one centered over the sink! I love the fireplace mantel! 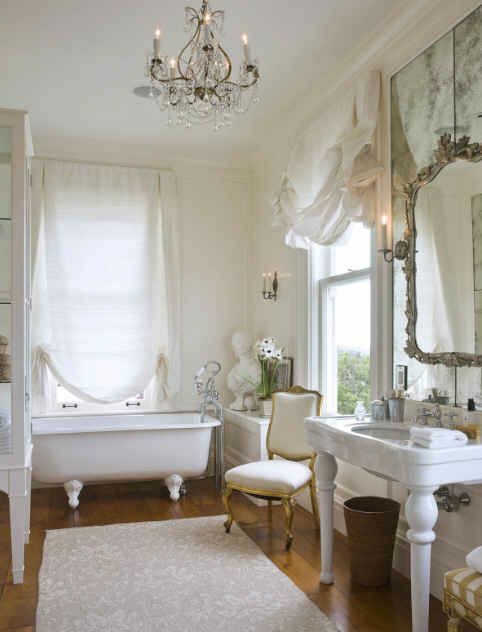 Do you have chandeliers in your bath? 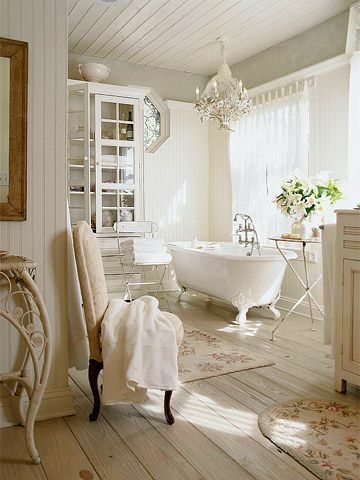 I really love chandeliers anywhere! 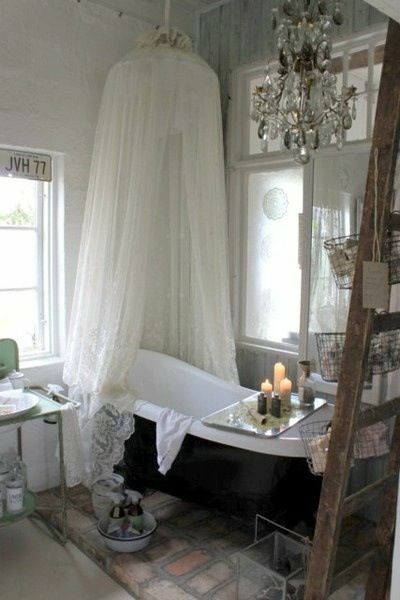 I don't have one in my bathroom, but would love it if we could. The ceiling is just too low. At least I have one in my living room and one in my dining room! Thanks for the inspirational photos! Great post, Tammy! The photos are lovely! 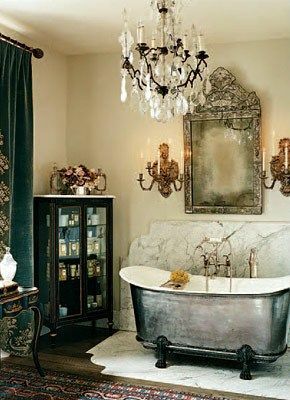 I added a chandelier above the master tub a few years ago. We love it; and the lighting is easily adjustable. It adds a lovely ambiance to the room. These are all so lovely! You can just never mess up with a chandelier! I sure wouldn't say no to one! haha. I love all the rooms your gather up for inspirations. A visual candy land.